From distant space, the beyond gods of darkness has come to earth. For there are things in the dark. 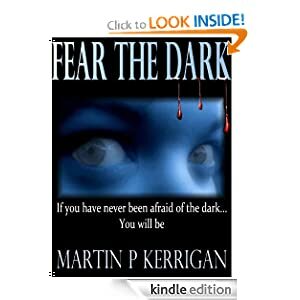 An old warrior and a terrified young woman must find a way to defeat the minions of the dark. A powerful, shape-changing monster created of earth, agony, death and blood. There are many ways to die - and the darkness knows them all. A hideous murder. Dark intrigue. Sorcery. And more. 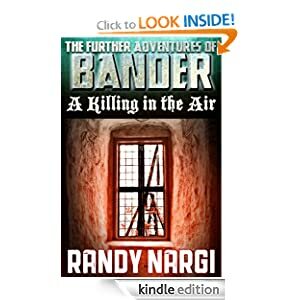 From award-winning writer Randy Nargi comes an exciting high fantasy adventure series which blends the wonder of sword and sorcery with a thrilling, fast-paced, hard-boiled mystery. Retired Imperial Guard Bander spends his days wandering the Empire of Harion and trying to avoid trouble. 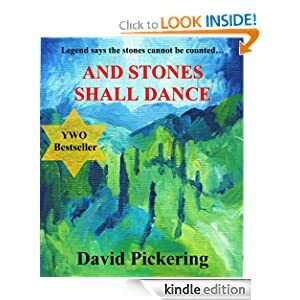 But when he is contacted to help solve the particularly gruesome murder of his oldest friend, Bander gets drawn into a deadly mystery that involves the highest powers in the realm. For fans of high fantasy and intrigue in the vein of Game of Thrones as well as mysteries like Robert B. Parker's Spenser series, this sharply-written 11,000 adventure provides thrills, riddles, and a cliff-hanger ending that kicks off this exciting new series. 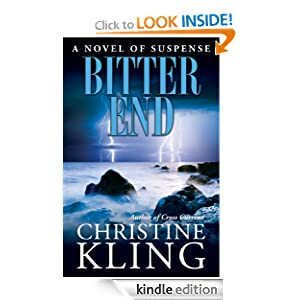 In her acclaimed novels of suspense, Christine Kling gives readers good reason to believe that if Travis McGee and Kinsey Millhone had ever hooked up, their child would have grown up to be Seychelle Sullivan: a beautiful, savvy heroine with a knack for steering her salvage tugboat into South Florida’s most troubled waters. In Seychelle’s new caper, she may just be in over her head when murder and corruption come bobbing to the surface. Since kindergarten, Seychelle and her best friend, Molly, had been as close as sisters. Molly even dated Seychelle’s brother. But it all ended suddenly when Nick Pontus, a slick, older, up-and-coming entrepreneur, came along. A smitten Molly quit school, married her new beau, and never spoke to Seychelle again. After thirteen years, it still stings. Seychelle didn’t see the sniper who picked Nick off at the helm of his yacht, but she knows that there are plenty of people in South Florida who wanted to see the gambling-boat tycoon dead: the Russian mobsters looking for a piece of his casino action, the Indian gamers who resent his competition, and the ecological activists fighting his plans to develop Fort Lauderdale’s waterfront. But it’s Molly whom the cops zero in on. And despite her bitter feelings and against her better judgment, when her back-from-the-blue friend asks for help, Seychelle can’t just weigh anchor and cruise. She’s got to dive in. What she finds is a money-skimming scam aboard Nick’s flagship gambling boat, Nick’s new trophy wife turned merry rich widow, and Nick and Molly’s teenage son, a scared kid with a big secret . . . and a killer on his trail. Protecting the boy, proving Molly’s innocence, and navigating between squalls of gunfire add up to a tall order as salvage jobs go. But like any good captain, Seychelle will never abandon ship. Even if it means risking her life.